Yesler Terrace is a 30-acre site near downtown Seattle originally developed by the Seattle Housing Authority (SHA) in the early 1940s as the city’s first publicly subsidized housing community. In 2006, when it had become evident that Yesler’s infrastructure and 561 aging housing units needed to be replaced, SHA began a conversation with residents, surrounding neighbors, city officials, key partners and the citizens of Seattle.A vision took shape for transforming Yesler Terrace — a site with great potential due to its central location close to jobs, public transit options and beautiful views — into a model community. 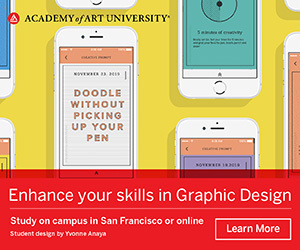 Michael Courtney Design was invited to participate in the project by SHA. 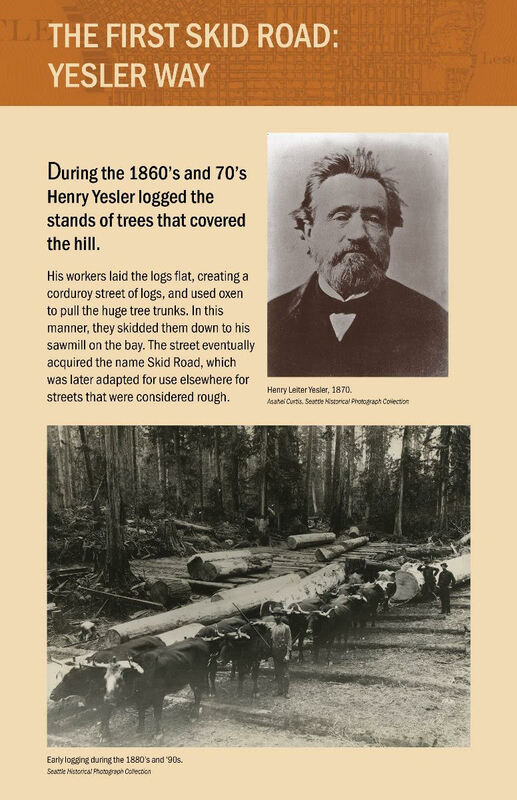 Yesler was the original “Skid Row,” where oxen skidded huge trees to Henry Yesler’s sawmill; home of both the first City Hall; and, since the late 1800s, an elementary school. The first assignment: develop placemaking, wayfinding, and interpretive elements for the site. Our second: signage and graphic standards for the public residences. The goal from the start: design authentic-to-place elements and identify Yesler for residents and visitors. 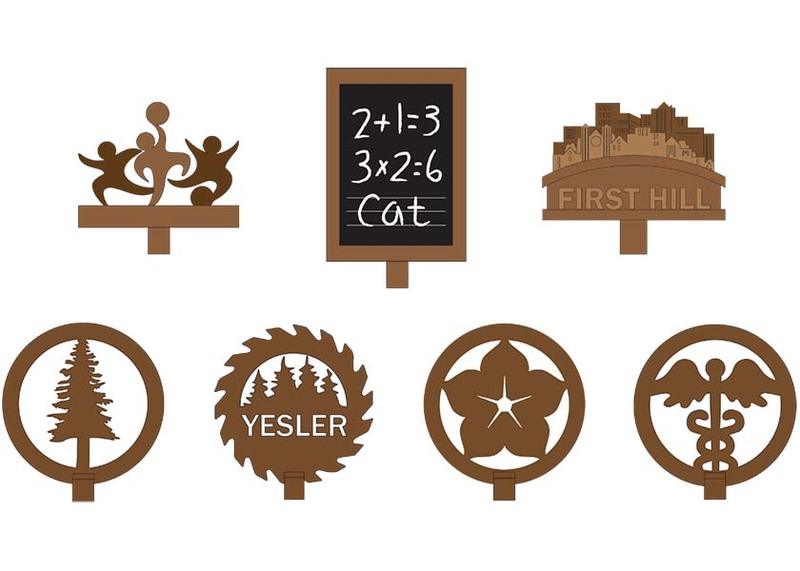 Michael Courtney Design developed icons representing the neighborhood: school, community, sports activities, health care facilities, and history of the site. 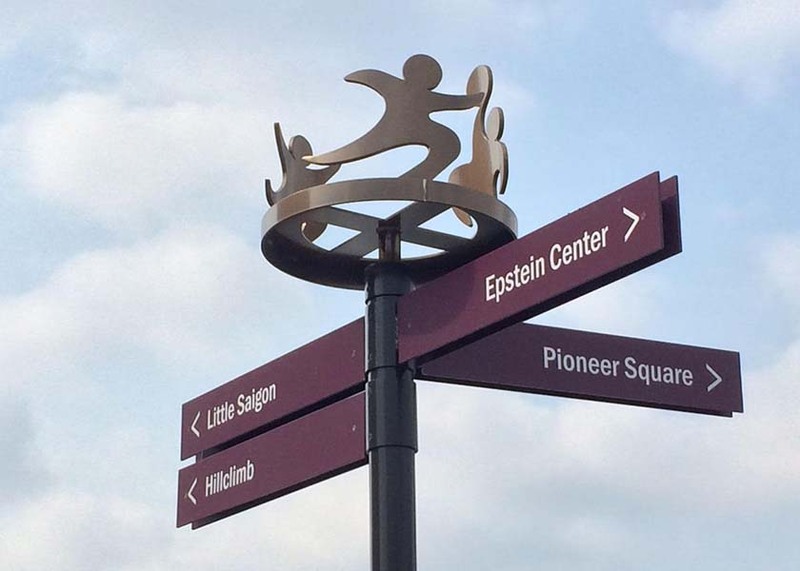 The icons and wayfinding blades are placed atop a colorful segmented pole. 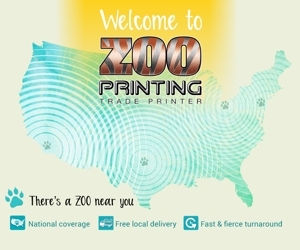 The toppers are painted aluminum and measure 20”-24” in diameter. Some are flat, others dimensional. The eight locations generated multiple destinations for the wayfinding blades. With the skyrocketing cost of housing in Seattle, SHA anticipates the market rate housing portion and the connections to the regional public transportation network will be attractive to the thousands of people who work in nearby hospitals, universities, office buildings, and in downtown Seattle.